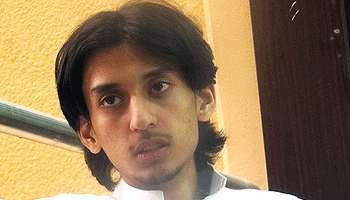 The pretext for this condemnation of social media is the case of the Saudi journalist Hamza Kashgari, who was extradited from Malaysia to the Kingdom after tweeting about the Prophet Muhammad in a manner that the religious authorities deemed blasphemous. If the Saudis wish to make an example, he will be facing blasphemy charges, and possibly death, rather than a lesser (though still absurd) sentencing that would end in him paying a fine. There’s also talk of taking action against anyone who retweeted his messages. But considering that thousands of Twitter users called attention to Kashgari’s tweets, literally demanding his head, it’s ironic that the Grand Mufti says Muslims should stay off Twitter, since clearly, many salafis are using, and policing it. And, as The National notes, it’s even more ironic that the Grand Mufti’s issuing a ban since Prince Alwaleed bin Talal, the King’s nephew and reputedly the richest man in Saudi Arabia, purchased 3.6% of Twitter’s stock for US$300 million this past December. The fact that the Grand Mufti wants Twitter gone while a prince wants to buy its shares up nicely illustrates the uneasy dual monarchy that has defined clerical-royal relationship since the 18th century. The monarchy set up in 1923 is actually a dual monarchy because the royal family must maintain the approval of the Wahhabi ulema to rule, and there are those who question this “right” – one of the first crises of the Saudi state occured when the monarchy and ulema, fearing the Ikhwan tribal militias who had won control of the Hejaz for them, turned on the militiamen. The House of Saud procured the British machine guns, the clergy produced a justificatory edict for the crackdown. Hamza Kashgari’s case is one of free speech. The religious establishment, wanting to remain the arbiter of social norms in the Kingdom and hold onto the power it has accrued, is hoping to denigrate a medium that they fear because of its prominent — though exaggerated — role in the “Arab Spring.” They can’t reconcile themselves to globe-spanning electronic mediums that might lead their congregations to start thinking thought crimes. A chilling message has been sent already through the extradition from Malaysia; it will depend on the royal family if the intended message stops with a fine, or with Kashgari’s execution.